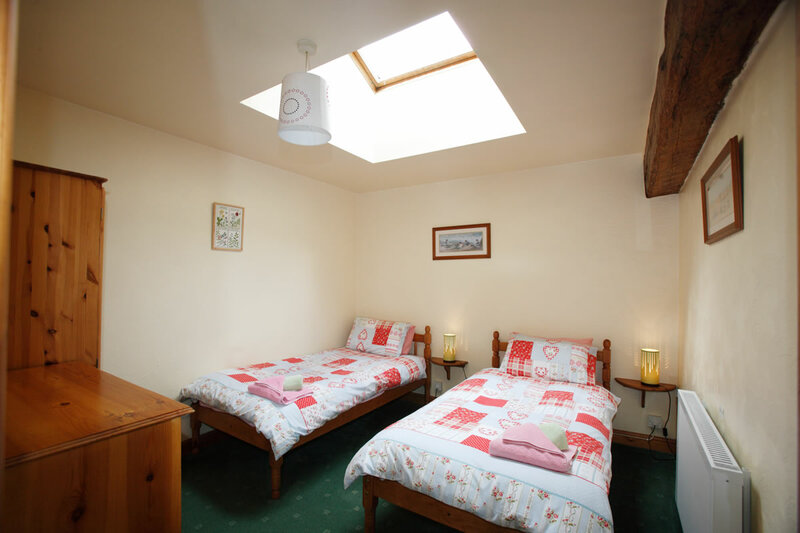 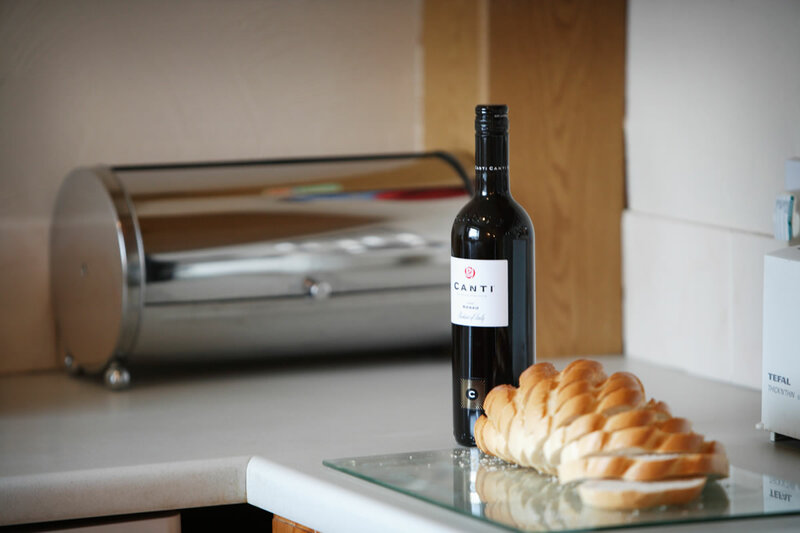 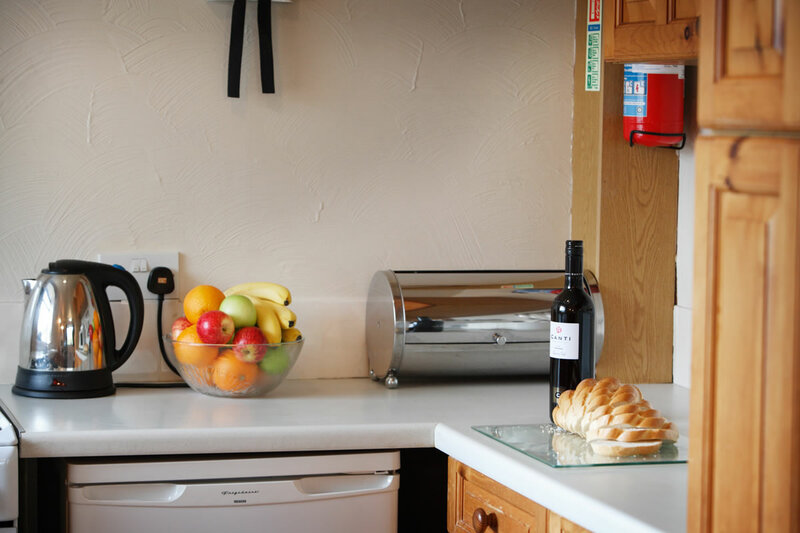 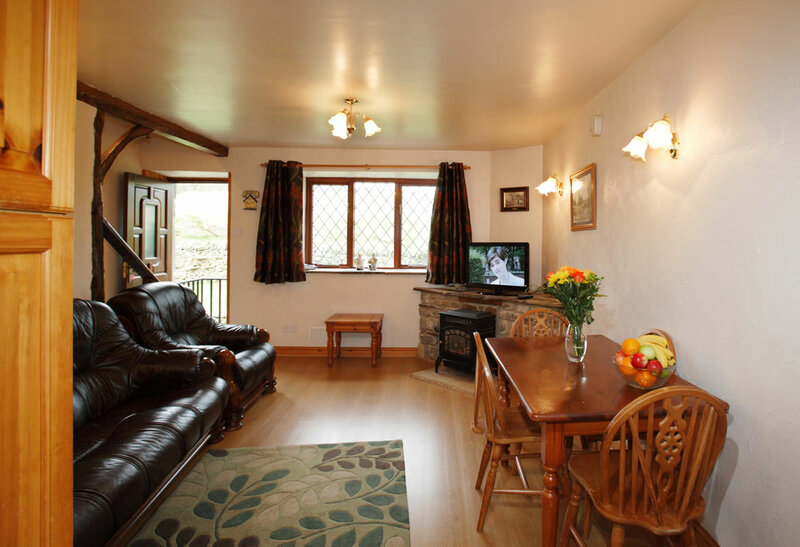 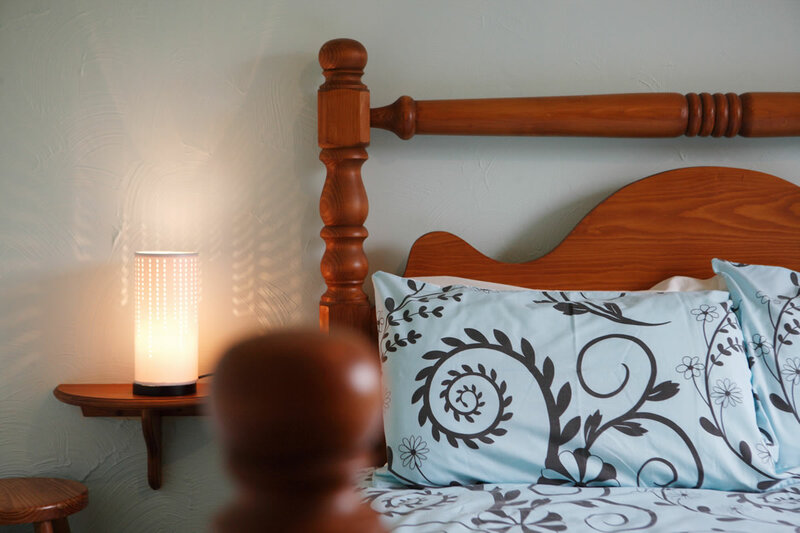 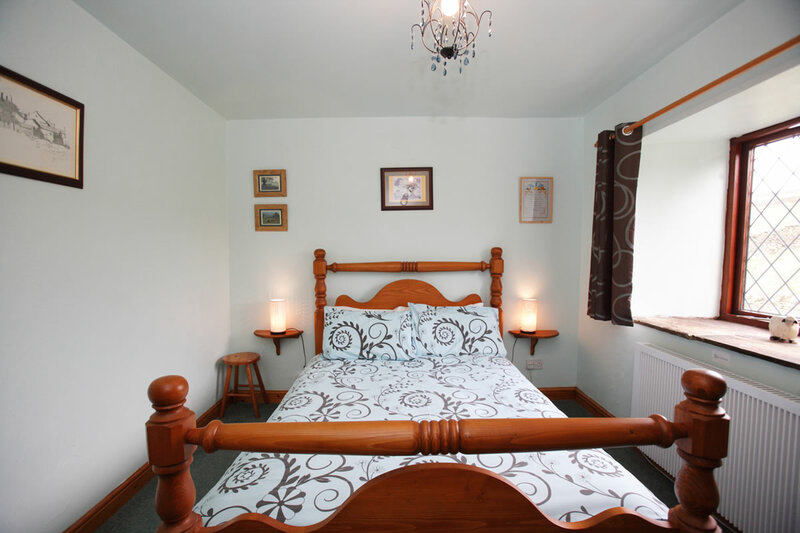 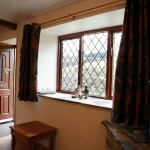 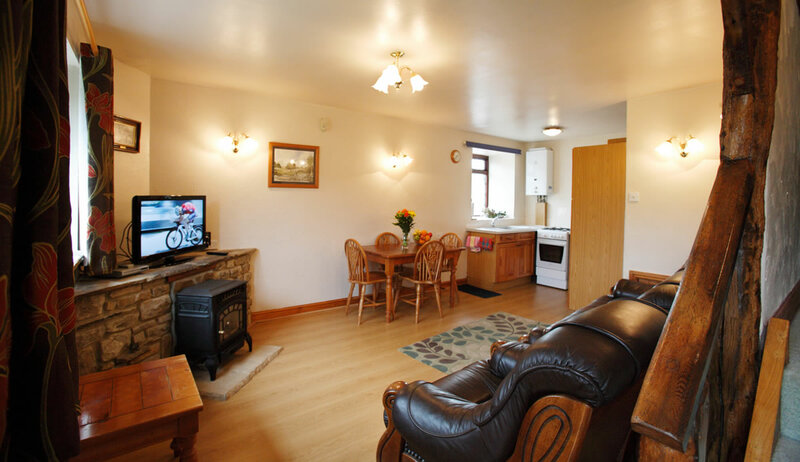 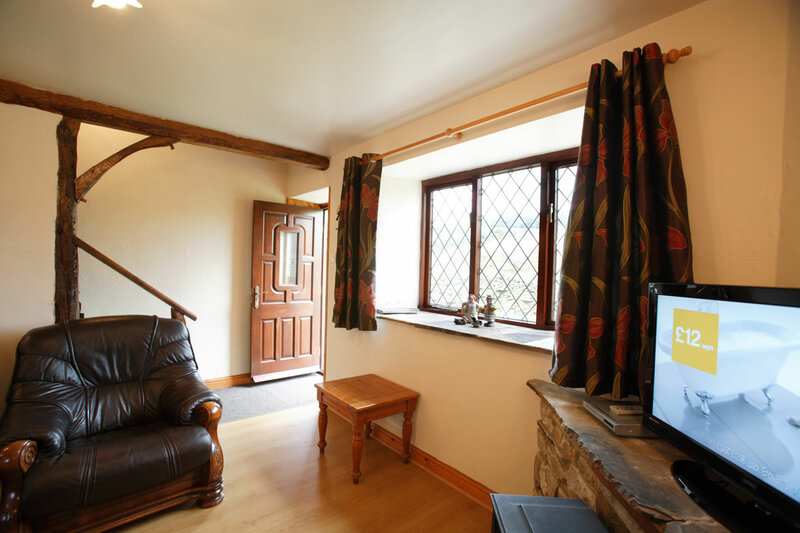 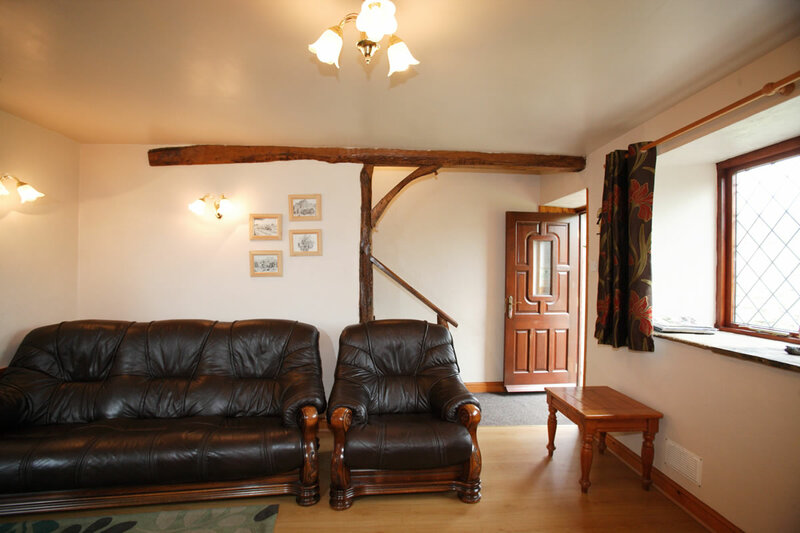 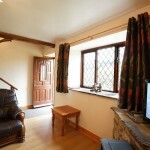 Quality and affordable accommodation for 4 people is found in our largest cottage that has parking available within the main yard. 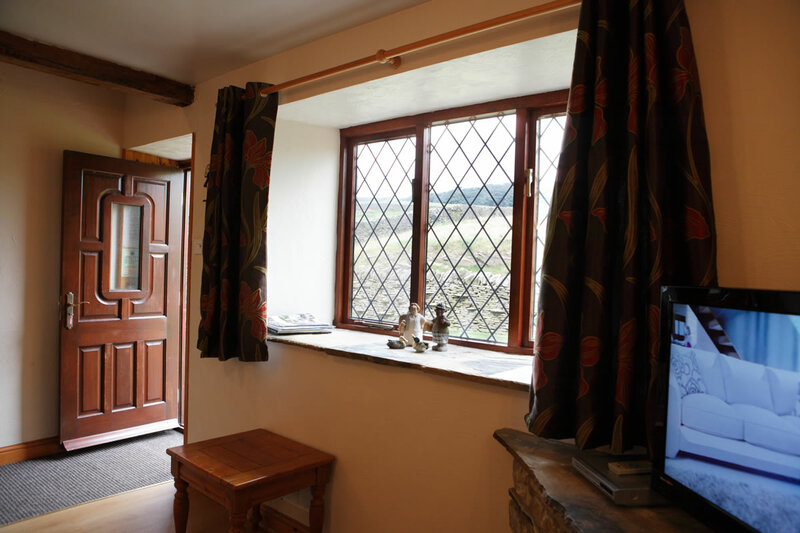 Views over countryside. 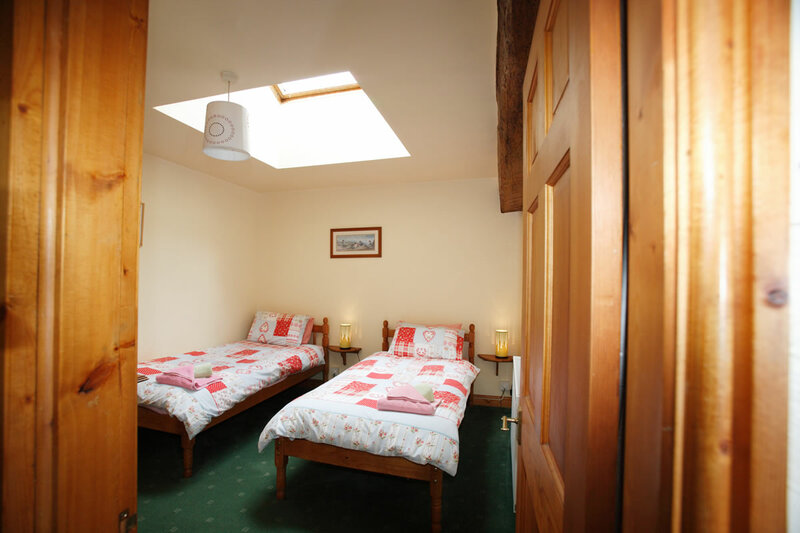 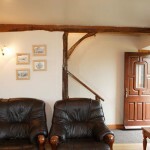 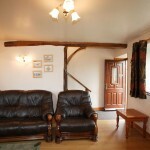 There are five steps leading into the Barnloft which has accommodation on 2 floors. 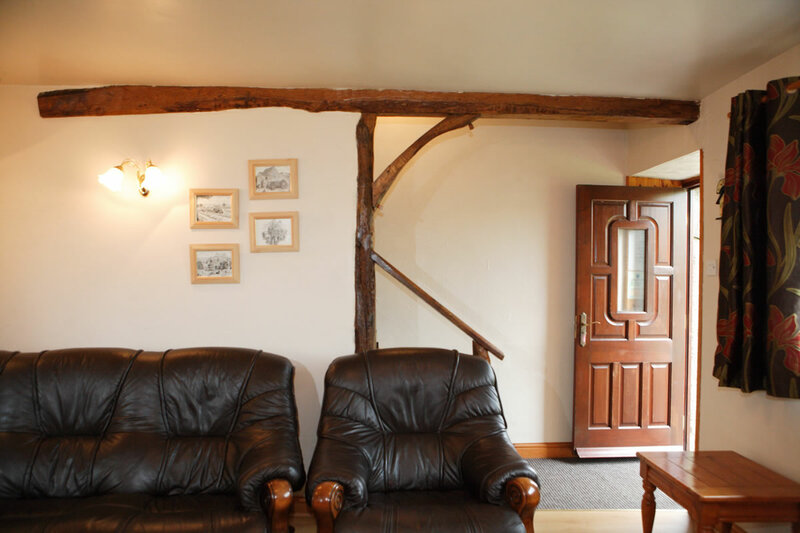 The entrance leads into a large lounge area with full leather suite, dining table and chairs for 4 people, flat screen T.V and DVD and free Wi Fi. 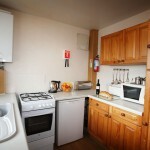 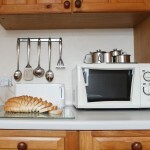 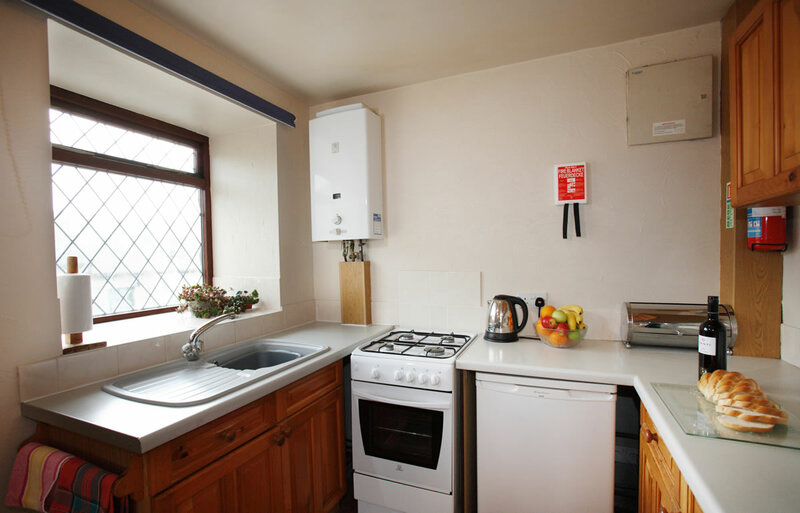 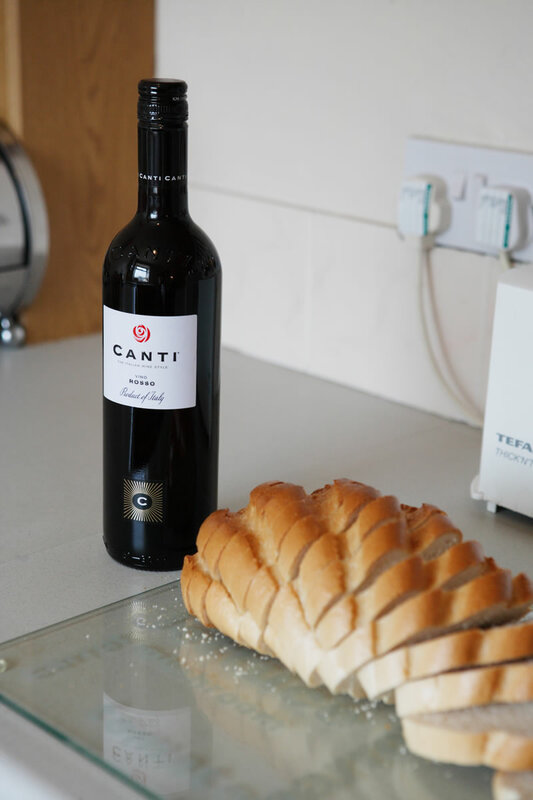 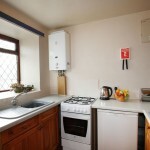 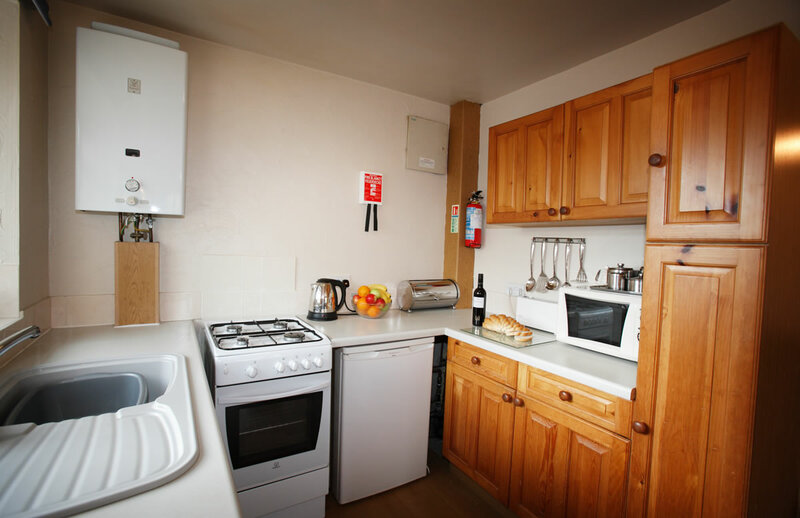 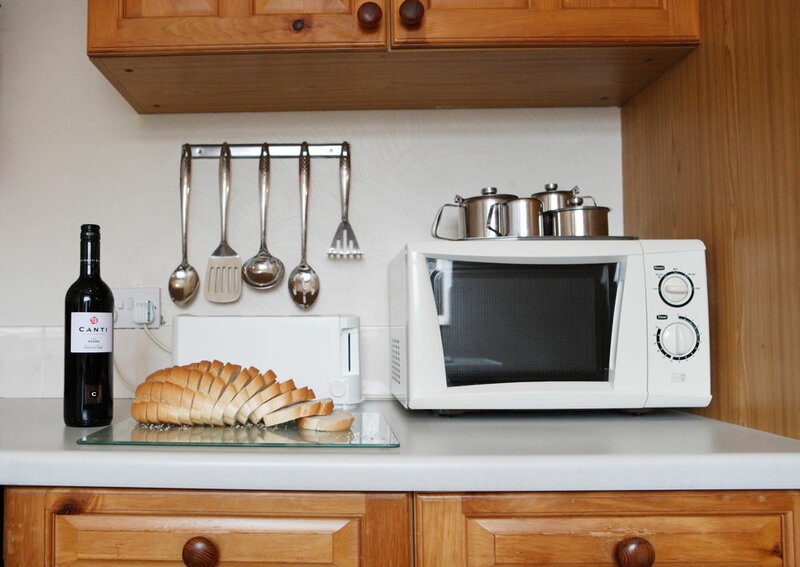 Working kitchen with full oven, microwave, toaster, kettle and fridge. 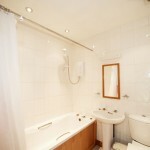 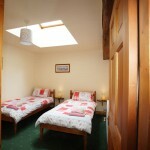 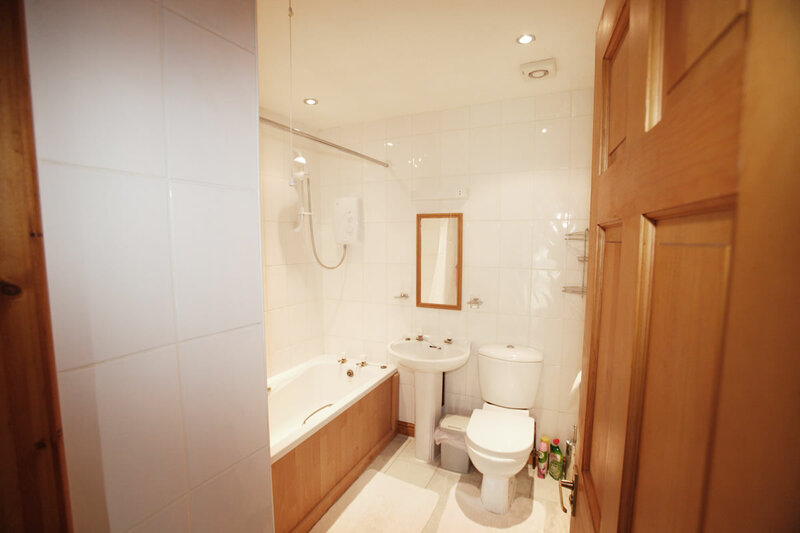 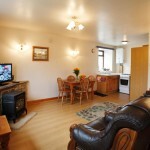 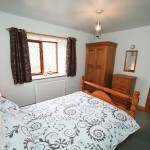 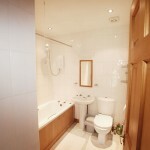 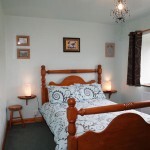 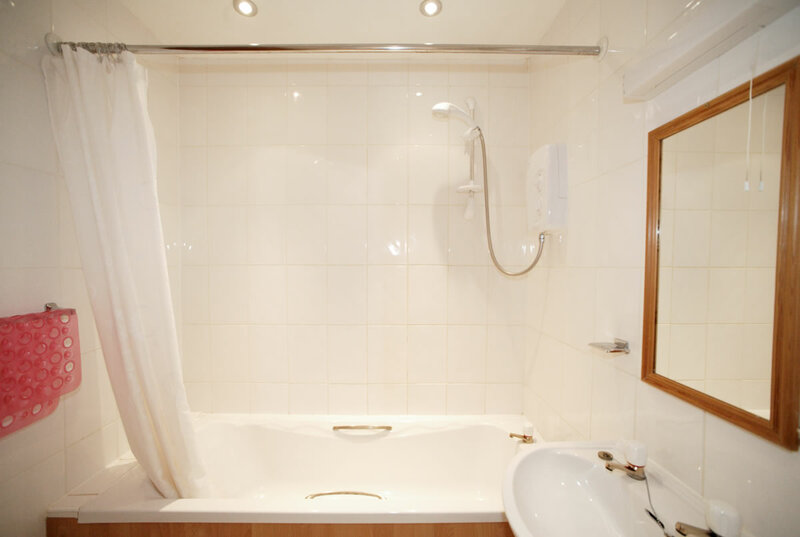 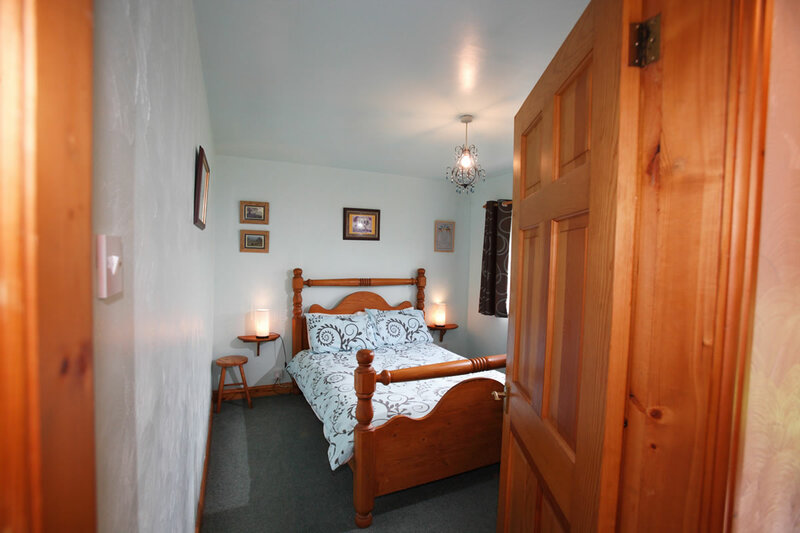 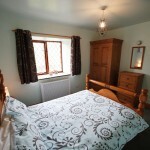 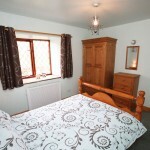 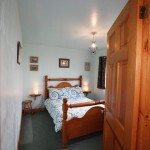 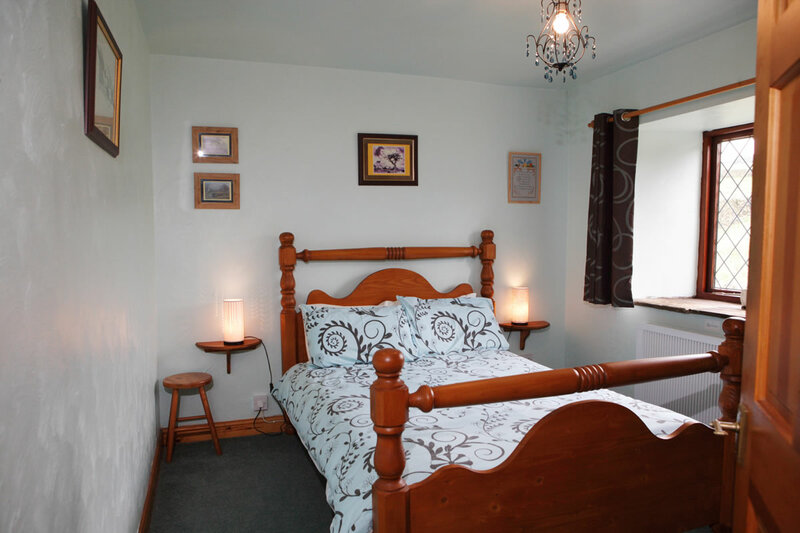 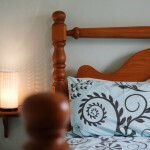 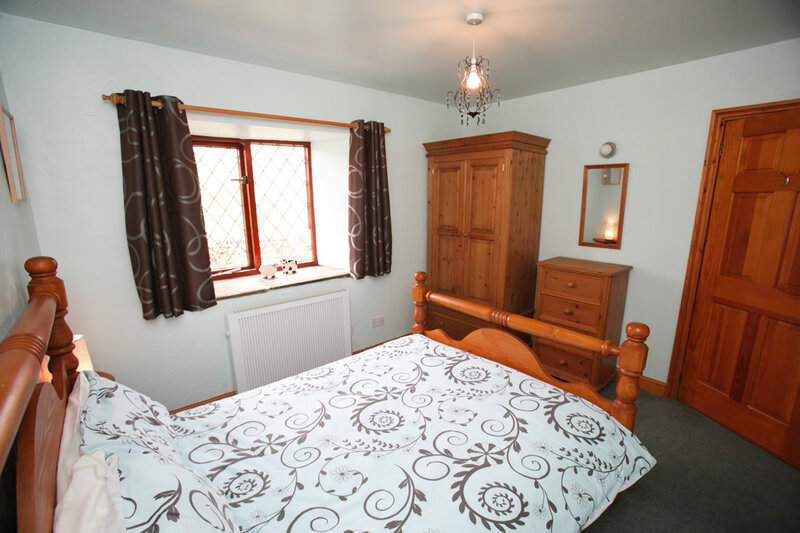 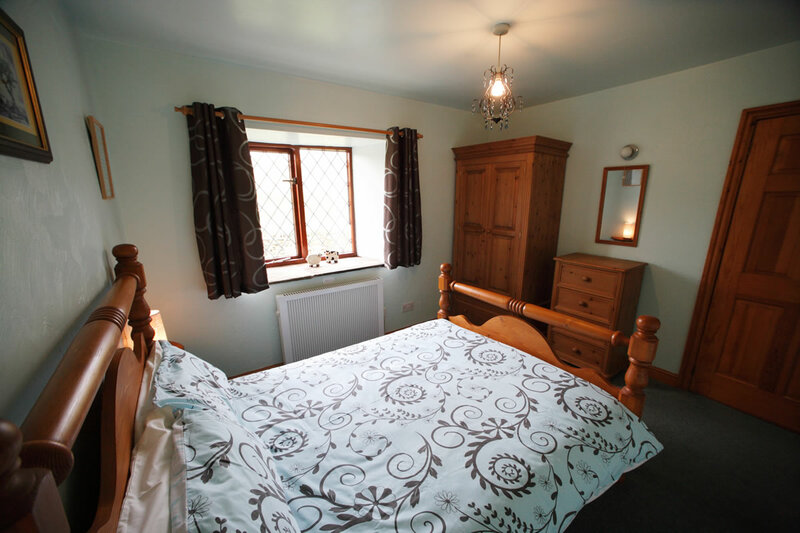 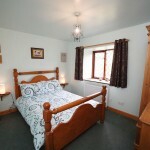 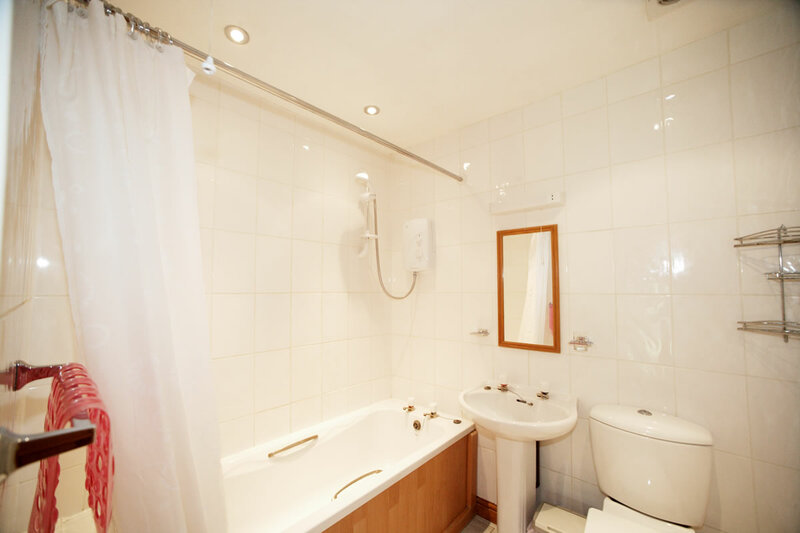 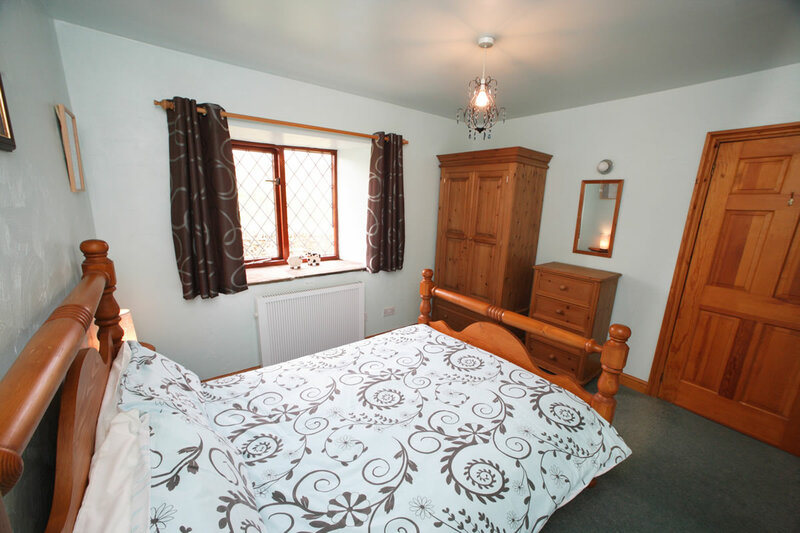 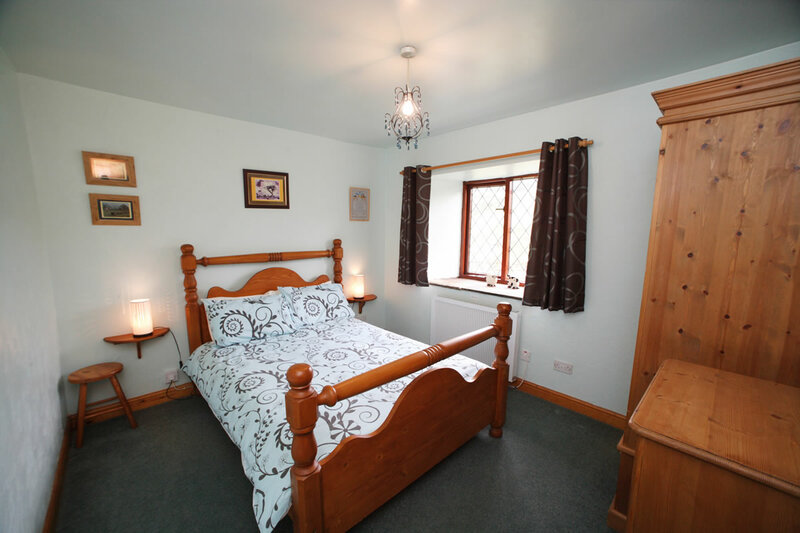 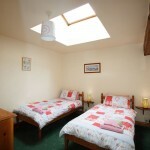 Steps lead to double bedroom and twin bedded room, house bathroom with bath and over bath shower. 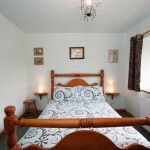 A very welcome and lovely place to relax, we’re looking forward to coming back. 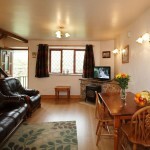 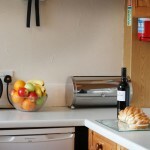 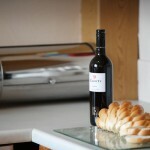 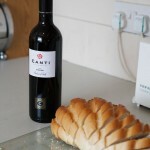 We have really enjoyed past week in lovely cottage, many thanks for the flowers, wine, milk etc; it was very welcoming.